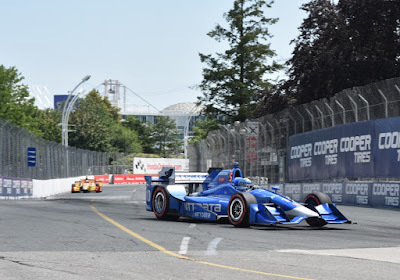 With two IndyCar practices completed Friday, Simon Pagenaud leads the field with a top speed of 106.702 mph coming into day two of the weekend speedfest in Exhibition Place. 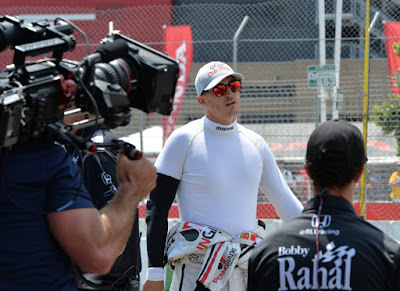 He won't be able to take it easy as Saturday's schedule will include one more practice in the morning and qualifying and the Firestone Fast 6 starting at 2:15pm. 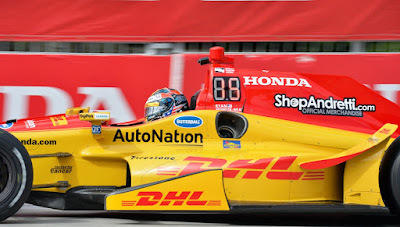 Ryan Hunter-Reay of the #28 car races by in the photo at top. 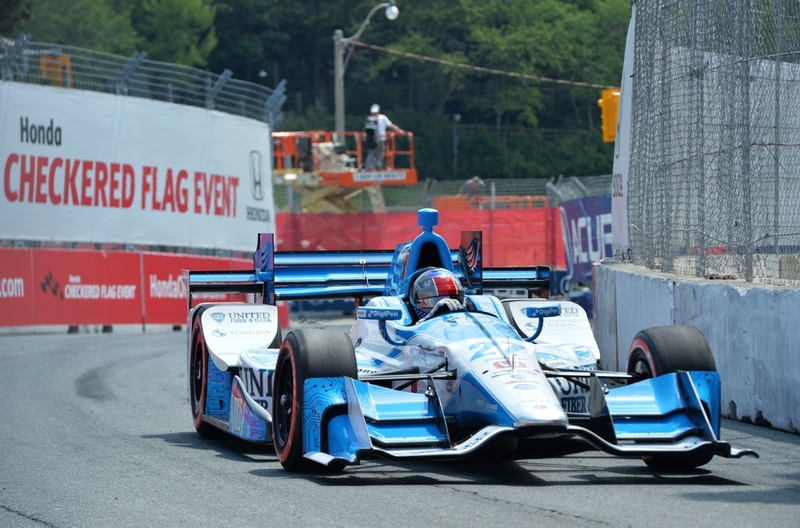 After the third IndyCar practice, speeds have crept up into the 107 mph range and now Simon Pagenaud, Helio Castroneves and Josef Newgarden have posted the top speeds in the combined results. 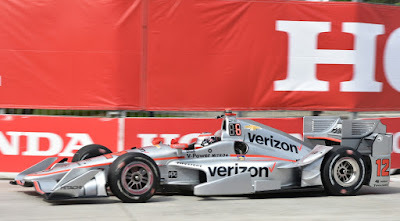 It's interesting to note that the IndyCar drivers have already completed 1,287 total laps in the practice sessions alone. In the qualifying session Simon Pagenaud won the pole position and leads the Firestone Fast Six which includes Graham Rahal, Helio Castroneves, Will Power, Scott Dixon and James Hinchcliffe. 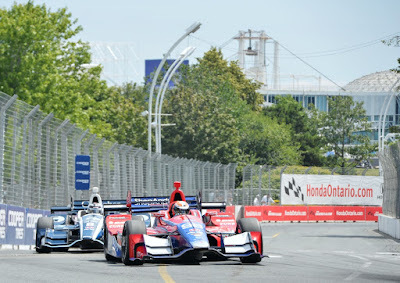 IndyCars head north with Ontario Place in the background, above. 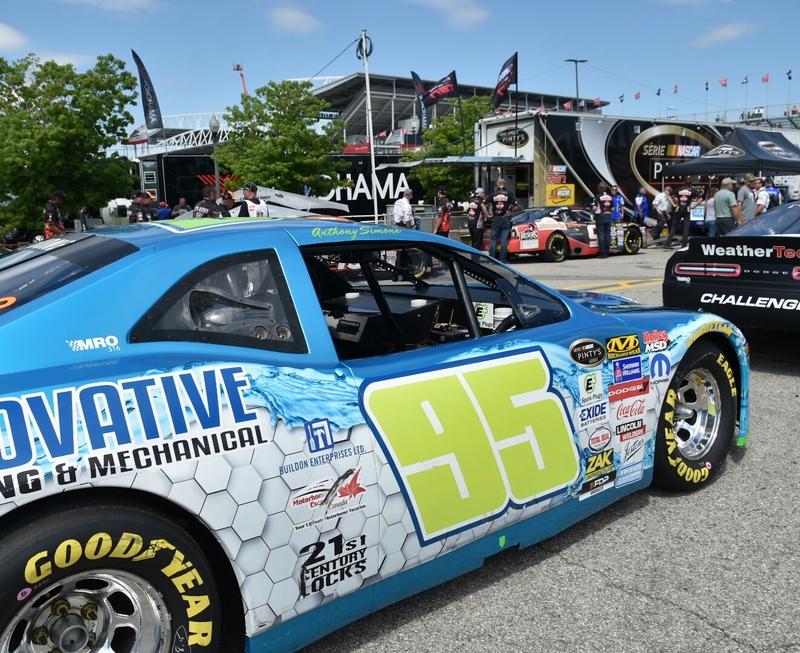 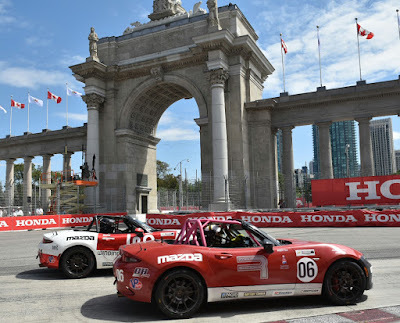 Today's races include the Mx5, USF2000, Indy Lights, GT3 and the Saturday feature race; NASCAR Pinty's Series Grand Prix of Toronto on the 2.89km (1.786-mile), 11 turn temporary street circuit through Toronto's CNE fairgrounds and onto Lake Shore Boulevard West. 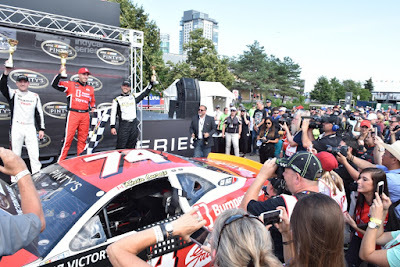 NASCAR drivers qualified Friday with Andrew Ranger in the pole position followed by Alex Tagliani, Kevin Lacroix and American Adam Andretti. 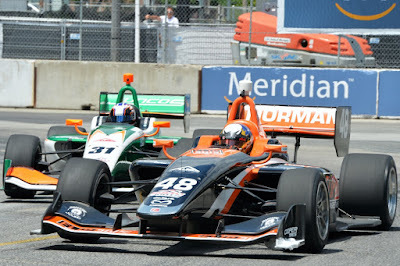 The #44 car of Adam Andretti was penalized for missing the drivers meeting and moved to the rear of the field for the race. Twenty stockcar drivers will get ready for their race in the midfield paddock and garage area at approximately 3:00pm then head out on the track for their race which is scheduled from 3:45 to 5:05pm. 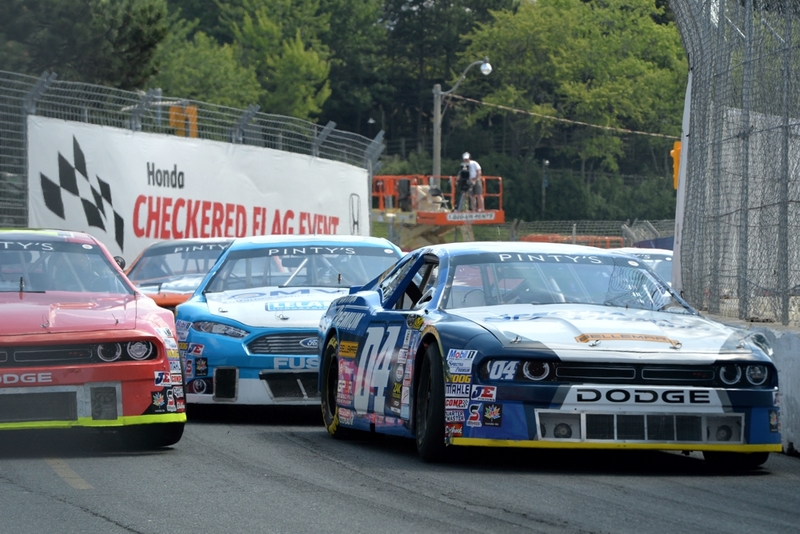 This is one of NASCAR Pinty's Series 13 races scheduled for 2017. 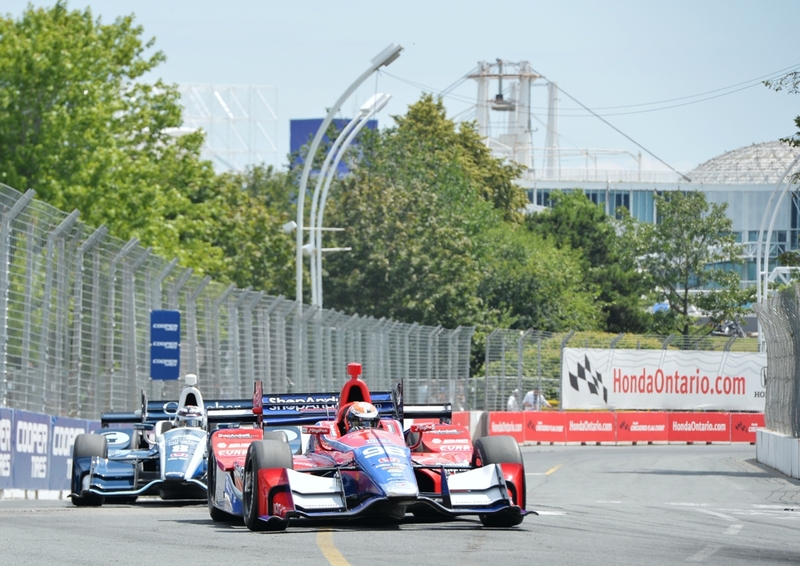 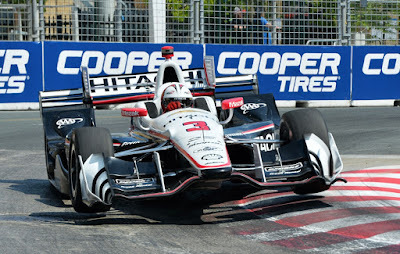 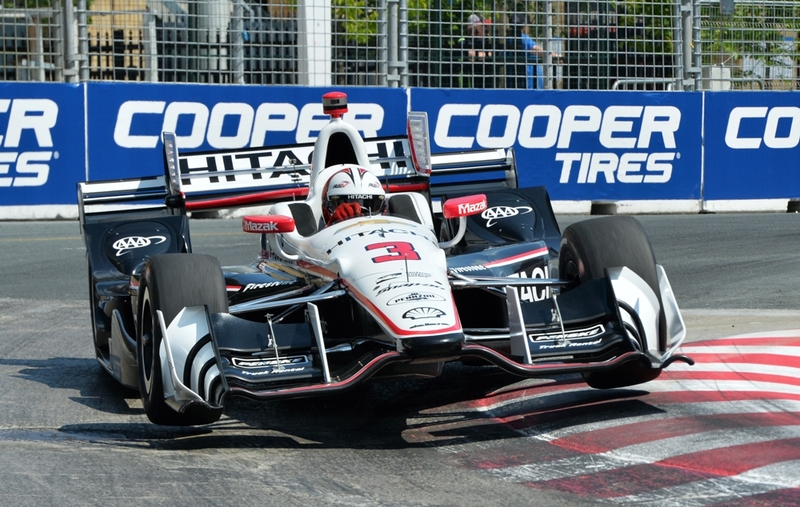 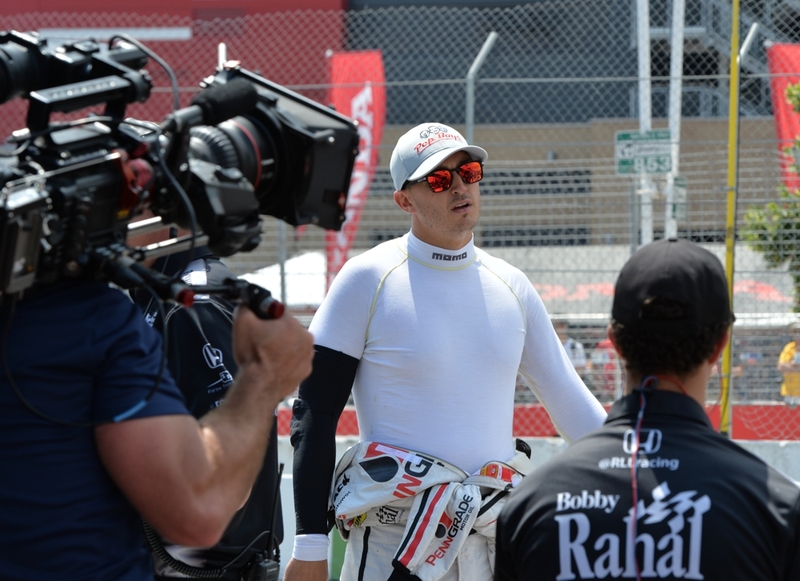 There were 20 drivers qualifying for the Grand Prix of Toronto. 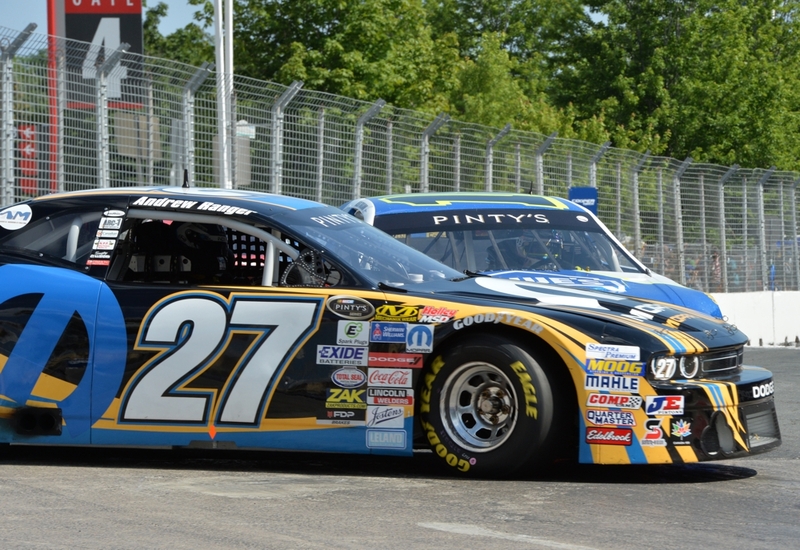 Pole position went to Andrew Ranger (best time/speed 1:16.785 minutes, 82.282 mph) while Alex Tagliani and Kevin Lacroix rounded out the top three drivers for the starting lineup of the race. 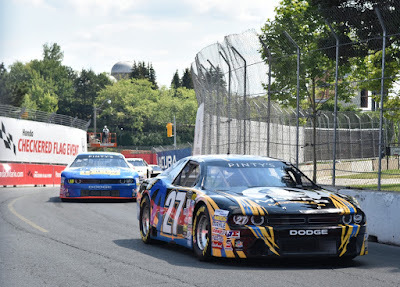 The race started with 10 rows of two cars, side by side, for the 35 lap race which started at 3:55 pm. The race was just under one hour and had three cautions. The first one was in the second lap when Car 2 contacted the wall, later Andrew Ranger and Alex Tagliani got into a bit of a dust up and Andrew's car crashed into the tire barrier in turn four. 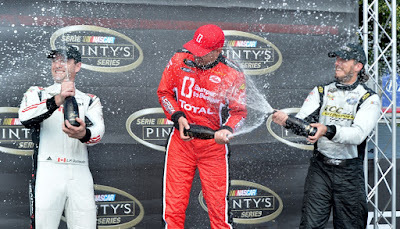 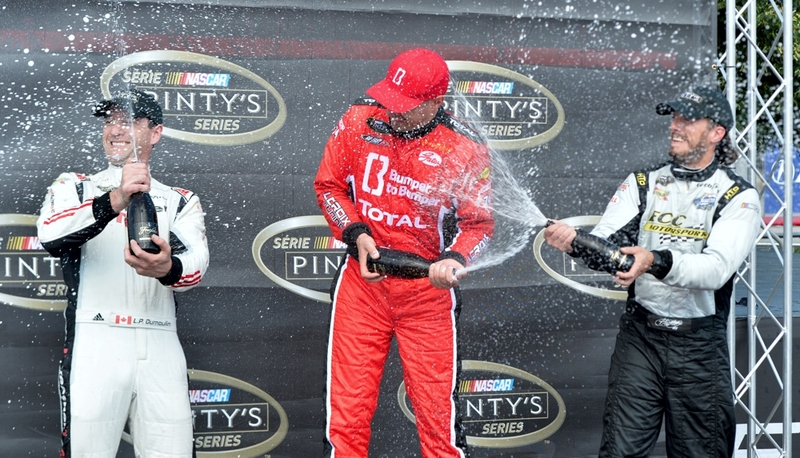 After it was all over Kevin Lacroix took the checkered flag, followed by L.P. Dumoulin and Adam Andretti. The race was 57 minutes long and the average speed was 64.604 mph.